The swordfish, or broadbill, is an elongated, round-bodied fish that can weigh hundreds of pounds and grow to reach several feet in length. It is commonly grilled, like a steak in marinades and herbs, because of its natural oily content. However, it is also eaten raw. The swordfish, or broadbill, is an elongated, round-bodied fish that can weigh hundreds of pounds and grow to reach several feet in length. It is commonly grilled, like a steak in marinades and herbs, because of its natural oily content. Swordfish belong to a small group of fish that are not recommended for consumption by either pregnant or lactating women. For all other individuals, swordfish contains many potential health benefits, when taken in moderation. One of the health benefits of swordfish is that it serves as an excellent source of protein. Each 106-gram swordfish steak contains 27 grams of protein. The body uses protein to produce enzymes, transport oxygen, and to maintain healthy tissues including the muscles, hair, and skin. Swordfish contains a healthy amount of selenium, with 93% of the daily recommendation for every 106 grams. Selenium can improve bone health by adding strength and durability. The mineral also strengthens the teeth, hair, and nails. Also, this essential nutrient is a powerful antioxidant, which eliminates free radicals. Phosphorus and zinc also make huge contributions to helping build strong bones and a healthy bone matrix. Swordfish can help individuals have a calm sleep and help reduce the incidence of sleep disorders, like insomnia, as it has a high content of magnesium. Magnesium is a mineral that is directly associated with enhancing the properties of sleep such as quality, length, and calmness. The swordfish is a formidable source of B-vitamin complex elements such as vitamins B3 (niacin) and B12. Vitamin B12 assists in energy production, helps with blood formation and DNA synthesis, and in the formation of fatty substance around the brain cells, called myelin. Niacin has been known to increase an individual’s “good” cholesterol and reduce the risk of cardiovascular problems. 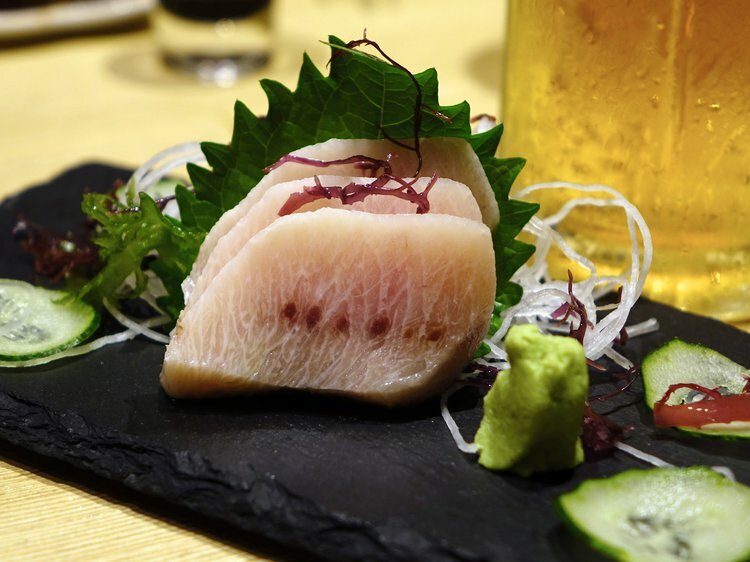 Another one of the benefits of swordfish is that it has a high omega-3 fatty acid content. Omega-3 fatty acids have anti-inflammatory properties and can help reduce blood pressure. Maintaining a stable blood pressure can significantly boost heart health by lowering the strain on the cardiovascular system. This has the potential to decrease the risk of heart attacks, strokes, and atherosclerosis. Swordfish provides a significant amount of eicosapentaenoic acid (EPA) and docosahexaenoic acid (DHA). EPA and DHA are omega-3 fats that are found in fatty fish and shellfish. It is suggested that a diet with at least 8 ounces per week of seafood may reduce one’s risk of cardiac death, according to the Department of Health and Human Services. Swordfish is among the species of fish that can be high in mercury, an environmental contaminant that can cause brain damage in fetuses and infants, rendering swordfish as a fish not to eat while pregnant or lactating. It is also advised that children should avoid eating swordfish. Covington, M. B. (2004). Omega-3 fatty acids. Atlantic, 1, 2-0. Kennedy, D. O., Veasey, R., Watson, A., Dodd, F., Jones, E., Maggini, S., & Haskell, C. F. (2010). Effects of high-dose B vitamin complex with vitamin C and minerals on subjective mood and performance in healthy males.Psychopharmacology, 211(1), 55-68. Kris-Etherton, P. M., Harris, W. S., & Appel, L. J. (2002). Fish consumption, fish oil, omega-3 fatty acids, and cardiovascular disease. circulation, 106(21), 2747-2757. Peet, M., & Stokes, C. (2005). Omega-3 fatty acids in the treatment of psychiatric disorders. Drugs, 65(8), 1051-1059. Rayman, M. P. (2000). The importance of selenium to human health. The lancet, 356(9225), 233-241. Simopoulos, A. P. (1991). Omega-3 fatty acids in health and disease and in growth and development. The American journal of clinical nutrition, 54(3), 438-463. US Food and Drug Administration. (2004). What you need to know about mercury in fish and shellfish. Retrieved July, 21, 2009. Damiano, S., Papetti, P., & Menesatti, P. (2011). Accumulation of heavy metals to assess the health status of swordfish in a comparative analysis of Mediterranean and Atlantic areas. Marine pollution bulletin, 62(8), 1920-1925. Corsolini, S., Ademollo, N., Romeo, T., Greco, S., & Focardi, S. (2005). Persistent organic pollutants in edible fish: a human and environmental health problem. Microchemical Journal, 79(1), 115-123. Martí-Cid, R., Bocio, A., Llobet, J. M., & Domingo, J. L. (2007). Intake of chemical contaminants through fish and seafood consumption by children of Catalonia, Spain: health risks. Food and Chemical Toxicology, 45(10), 1968-1974. Ruxton, C. H. S., Reed, S. C., Simpson, M. J. A., & Millington, K. J. (2004). The health benefits of omega‐3 polyunsaturated fatty acids: a review of the evidence. Journal of Human Nutrition and Dietetics, 17(5), 449-459. Smith, K. L., & Guentzel, J. L. (2010). Mercury concentrations and omega-3 fatty acids in fish and shrimp: Preferential consumption for maximum health benefits. Marine pollution bulletin, 60(9), 1615-1618.